Completing 5 “races” is the second item on My 40 Before 40 list. 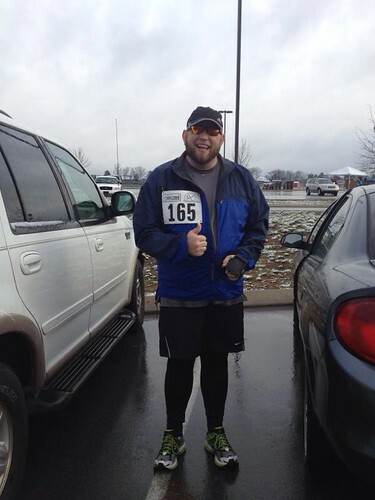 On Saturday May 2nd, I ran my 2nd 5K, the Run for Adoption 5K in Murfressboro, TN. 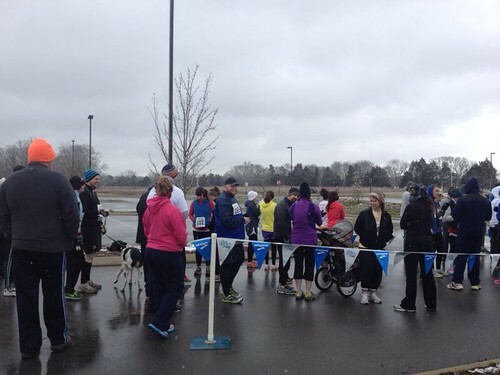 This was a really small event compared to my first 5K. Plus it was cold and snowy so I bet even fewer people showed up. I didn’t follow any specific training plan other than running as much as I could. In the weeks leading up to the 5K, I logged 31.18 miles which I felt pretty good about. I finished the run in 35:28 according to RunKeeper. I was expecting to best the time of 38:38 that I posted for the Mayors 5K Challenge back in November. I would have been happy with 37:00 and would have been totally stoked with 36:30 so to even best that by over a minute was pretty surprising! The course was pretty flat and my normal running routes have a good amount of hills. I actually ran the whole course without stopping to walk! I felt pretty OK during the run tho I never really felt like I got into the zone 100%. I went out kind of fast and then started feeling anxious about how my legs were feeling. After about the first mile, I was able to calm myself and pace myself better. Compared to others, I’m really slow… I was so slow that I got beat by a mom pushing a stroller! I’m pretty sure see was a cyborg or perhaps an ironmom. My next 5K is Petey’s 5k Face-Off on April 6th. This will be my first certified and chip timed course. I don’t have any specific training plan for the coming month other than run as much as possible. I intend to run 4 times a week. I don’t know what the course profile is but if it’s flat, I hope to finish in 34:45. You can see the cyborg mom in this picture. I think she had power assist on her stroller. Awesome! Congrats on the new PR!! !